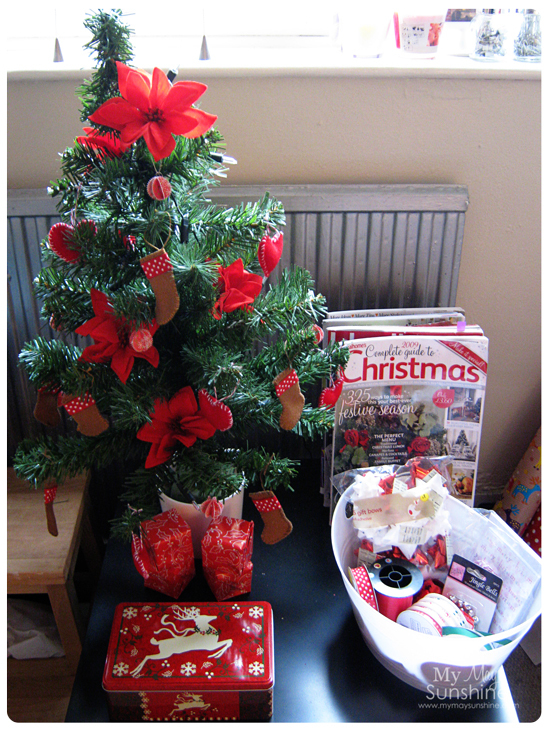 I still have a few things to finish on my little Christmas tree but I thought that I would show you it today for What’s on your work desk Wednesday as there isn’t much on my desk apart from some Christmas cards to post. This is a little table that I have by my desk and decided to put this little tree there. It is actually the top half of a 5 foot tree but I just stuck it in some florist foam in a plastic pot and added some lights from Tescos for £1.95. The magazines are mainly old Christmas editions of home magazine that I like to dig out and have a look at, at Christmas. The poinsettia flower was from Poundland and came with 5 stems and I just took the flowers off. The other decorations are ones I made and have showed in previous WOYWW posts. 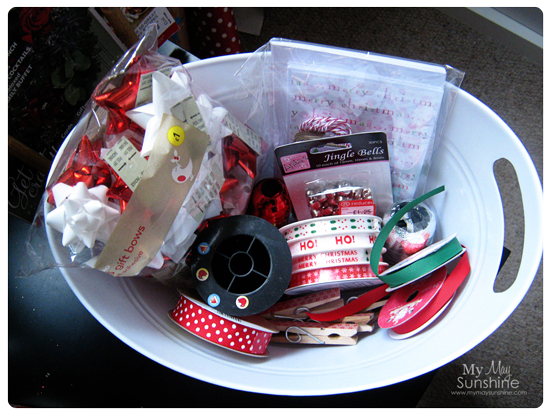 The basket has some things that I thought that I might use for Christmas presents or making more decorations. 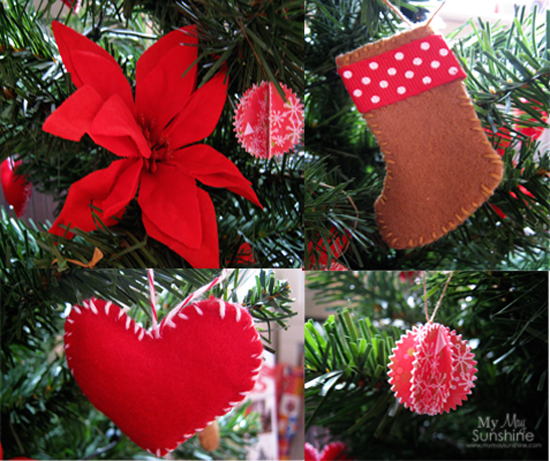 I really love the combination of the red and kraft with the green of the tree. The parcels I made using Tesco’s 14p wrapping paper and the tin came from poundland. The tree is missing a star and I would like to cover the top of the pot and maybe add some washi tape to the pot but I might get to that before Christmas! So the tree and decorations didn’t cost me much at all as most was things I had, re purposed or were cheap, so loved it even more. Thanks for visiting my (desk) today and have fun looking at others at Stamping Ground.